Hold visitors on the page. 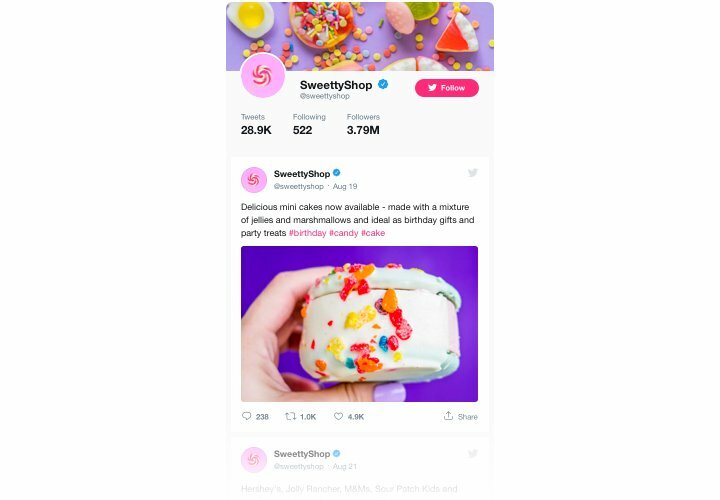 Hold your audience on your website longer, engaging them with single Tweets on related topics or involve them into your Twitter-promoted events. Get more followers. 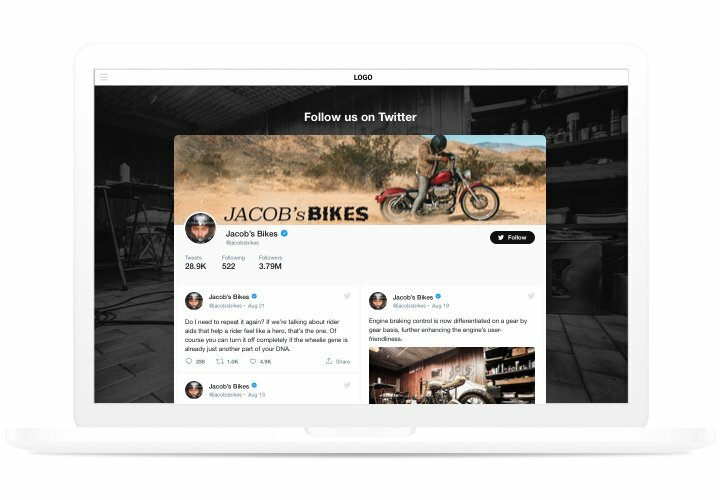 Interactive Elfsight Twitter feed allows customers to subscribe to your account straight from your site. You can use another source of followers and raise your Twitter community. Solid social proof for stronger trust. 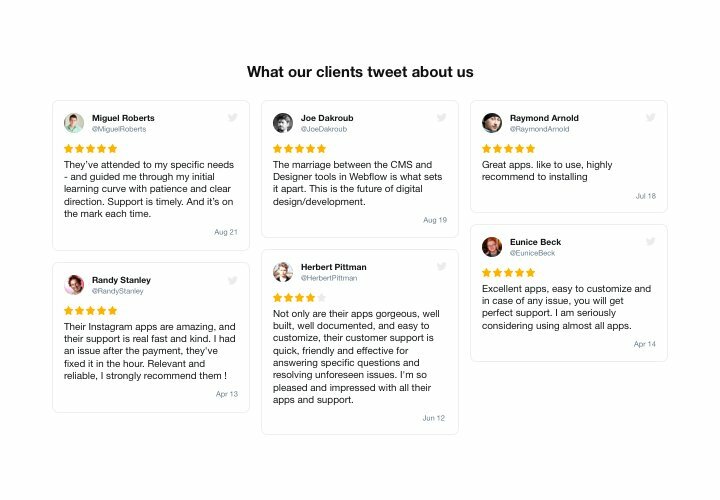 Display your fresh and entertaining Twitter profile to assure clients that your business is up and running and you are open to communicate and become closer to your clients. 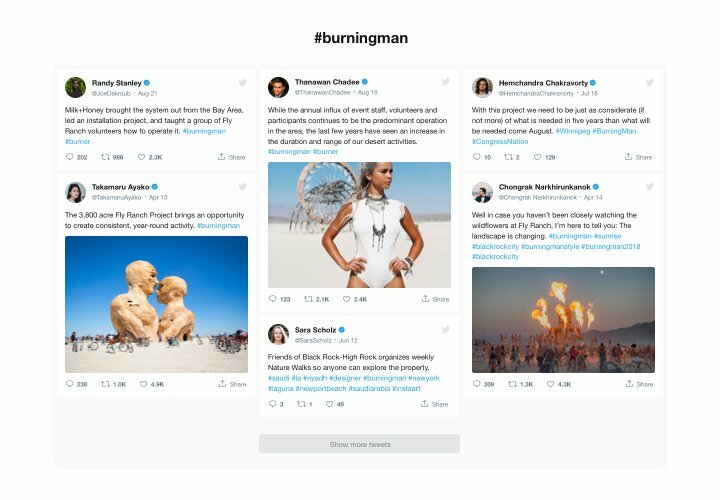 Tweet text formatting, displaying photo and video content. 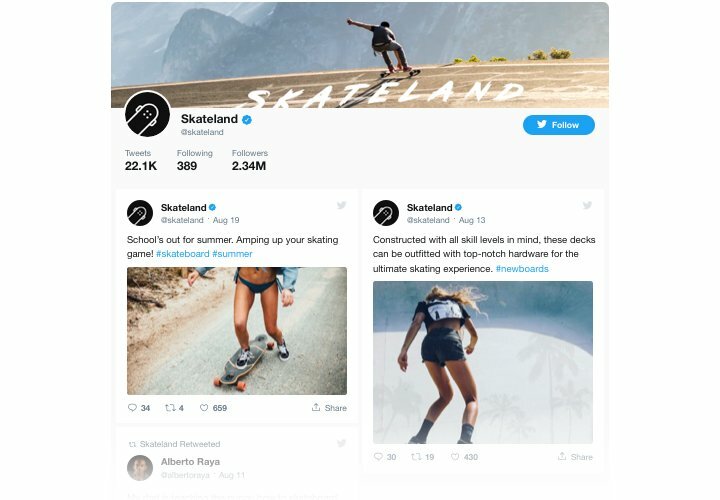 A quick instruction on setup of Twitter widget yourself, without skills in web development or searching for a programmer. Approximate time of installation is about 2 minutes. Create your custom Twitter app.. Using our free editor, a widget with desired template and functions. Get a code for integrating the app.. After widget creation Get a code for Twitter widget from the popup notification on Elfsight Apps. Reveal the app on WIx website.. Reveal the widget to the required spot of the website and save the changes. The integrating is successful!. Enter your Wix site, to check your app. Having any troubles while installing or configuring the app? Send an enquiry to our Support Center. 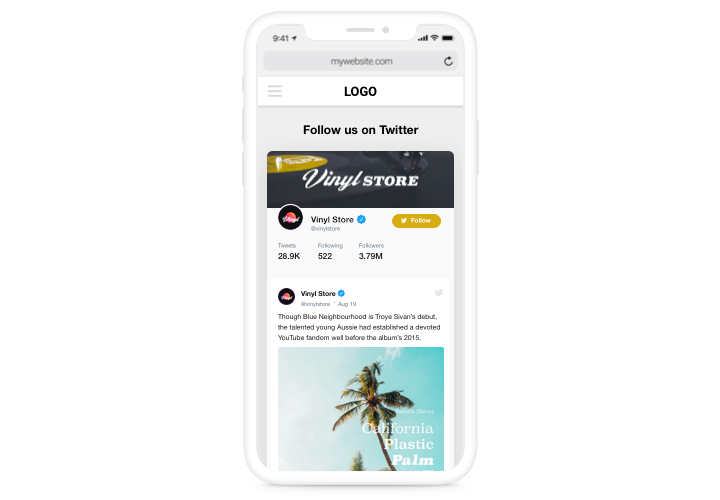 Get your Wix Twitter app for free!